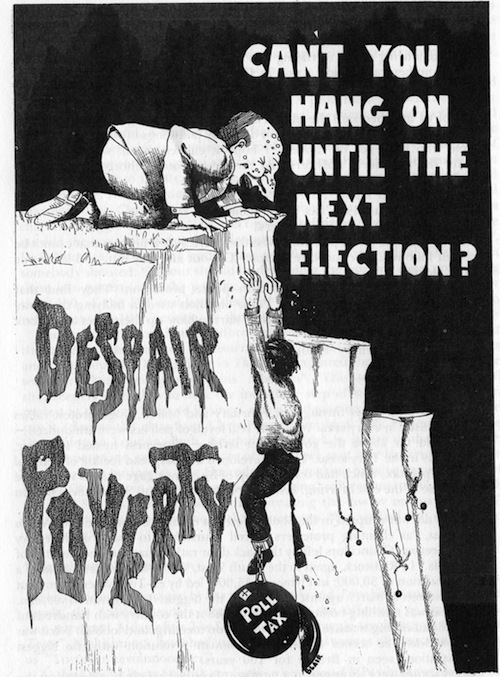 The Trauma of Tory Britain 1982 or The More A Tory ‘Changes’ The More They Stay The Same. The number of people out of work in Britain has risen above three million for the first time since the 1930s. The official jobless total, announced today, is 3,070,621. It means one in eight people is out of work. Rates of unemployment vary across the country – in Northern Ireland it is nearly 20% and 15 or 16% in most parts of Scotland the North East and North West – only in the South East does it drop below 10%. Prime Minister Margaret Thatcher was given a rough ride when she tried to defend the government’s record on employment in the Commons this afternoon. 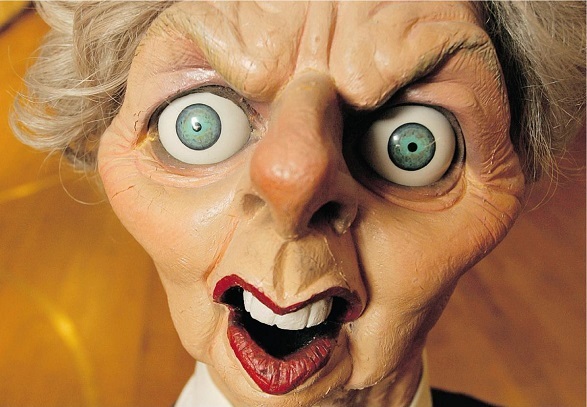 Mrs Thatcher was frequently heckled as she insisted there were “encouraging signs” the economy was improving. The Speaker was forced to intervene and call for order. 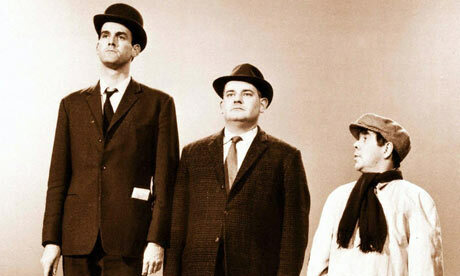 More than 750,000 people are now classed as longterm unemployed. The level of unemployment in Britain is almost the highest in Europe – second only to Belgium. The two main factors behind the rise in the jobless total are the economic recession and the restructuring of industry. In cities like Coventry, workers are being made redundant by the closure of traditional manufacturing industries. The British Leyland factory making MGs closed 15 months ago, putting 700 people out of work. The controversial drama series “Boys from the Blackstuff” was aired on television during 1982 and became hugely popular. Set in Bleasdale’s home city of Liverpool, and reflecting many of his own experiences of life in the city, each episode focuses on a different member of the group. 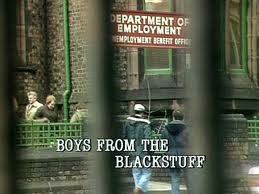 The series was highly acclaimed for its powerful and emotional depiction of the desperation wrought by high unemployment and a subsequent lack of social support. 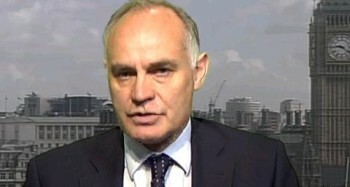 Although the series is and was noted by many reviewers as a critique of the Margaret Thatcher era, which was seen as being responsible for the fate of many of the unemployed lower and working classes, particularly in the North of England (and in fact fuelling the North-South divide), most of the series had actually been written in 1978 during Labour’s James Callaghan’s prime ministership, therefore preceding Thatcher’s Britain by a year. Unemployment stood at a 40-year high of more 1.5million by the summer of 1978, compared to some 600,000 just four years earlier, but by early 1982 had reached 3 million (some one in eight of the workforce) as a result of economic recession and Thatcher’s restructuring of industry. This episode “Shop Thy Neighbour” starring a very young Julie Walters brings home the trauma suffered by the unemployed brilliantly. The fact that it applies just as much today as it did then hammers home the message Labour should now be shouting from the rooftops: Never trust the Tories with the welfare state. This entry was posted in austerity, DWP, government, poverty, privatisation, Tories and tagged benefit fraud, Boys from the Blackstuff, British Film Institute, James Callaghan, Julie Walters, Labour, Margaret Thatcher, Michael Foot, Norman Tebbit, Northern Ireland, Politics, poverty, Thatcher, unemployment on August 21, 2013 by sparaszczukster. Remember This? 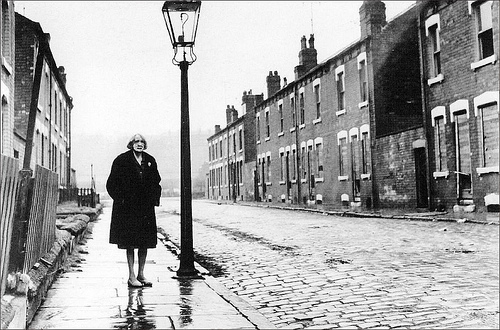 Impoverished Britain:The 1997 Tory Legacy. For the last terrible three years we’ve heard David Cameron and George Osborne and every other Tory MP who’s given a chance to speak on TV blame the suffering they’ve brought to millions of us on ‘Labour’s legacy’ of profligate public spending. Even the lily-livered LibDems have echoed this mantra with enthusiasm. Even now, when the evidence against this ridiculous claim has been featured in the more enlightened press and even that neoliberal stalwart, the IMF, has warned Osborne to go easy on austerity, they persist with the myth. And sections of the British public, having heard the lie repeated so often, now believe its true. Meanwhile, instead of defending themselves, the Labour party , particularly Ed Milliband and Ed Balls, have preferred to hang their head in unnecessary shame whenever its hurled their way in Parliament, instead of nailing Cameron and his crew through the heart with the lie. It makes my blood boil! Osborne’s priggish stubbornness in refusing to be diverted from his great Austerity Scam, however, has some very chilling echoes from the not so distant past. 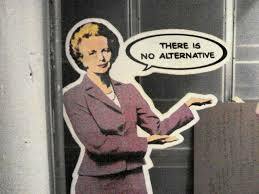 Margaret Thatcher was infamous for declaring that ‘there is no alternative’ when challenged about the cruel cuts she presided over when in power. And her words issued forth from the same moral high ground as Osborne’s, blaming the ‘immoral’ behaviour of the working classes for Britain’s failing economic performance. Just as she waged war on the workers by demonising trade unions and destroying the livelihoods of whole communities, so equally does Osborne. aided and abetted by Duncan Smith, whip up hatred for those whose only ‘sin’ is to have inherited the poverty she created, or to be sick and disabled, sometimes as a result of her social destruction. This entry was posted in austerity, disability, government, HOMELESSNESS, LibDems, neoliberalism, poverty, Tories, TUC, Uncategorized and tagged blood boil, current-events, David Cameron, Ed Balls, Ed Miliband, George Osborne, Labour, legacy, Margaret Thatcher, Osborne, Politics, poll tax, poverty, Tory, tory mp, war on the workers on August 19, 2013 by sparaszczukster. 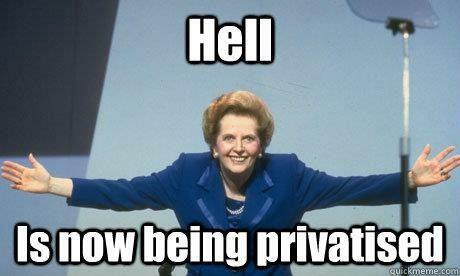 Cameron Has Created More Income Inequality in Three Years Than Thatcher Did in Eleven Years. The following article written By Howard Reed last month for The Fabian Society is a shocking indictment of a Cameron-led government and their relentless programme of austerity for the poor. Using the now discredited and tired excuse that the previous Labour government ‘got us into this mess’, they have managed to create a low wage economy increasingly characterised by zero hours contracts and have callously denigrated the disabled and the poor, forcing many people who were just getting by before onto the breadline. Ministers, such as Iain Duncan Smith, have shown no compassion whatsoever for the thousands of people who now suffer a precarious existence and sometimes die under their regime of work capability assessments and forced workfare. And it seems there are even more cuts to welfare to come. In statistical jargon welfare recipients are classed as being in the 1st decile whilst millionaires like Cameron, Clegg and Osborne are in the 10th decile. The huge gap in terms of wealth between these two extremes can be seen on the graph above. According to Howard Reed’s research the gap really began to open up after Thatcher came to power in 1979 and it widened dramatically during her eleven years in power. It levelled off for a while during New Labour’s reign but began to take off again in 2010 when the coalition took over. Reed shows that on Cameron’s watch inequality became turbo-powered. 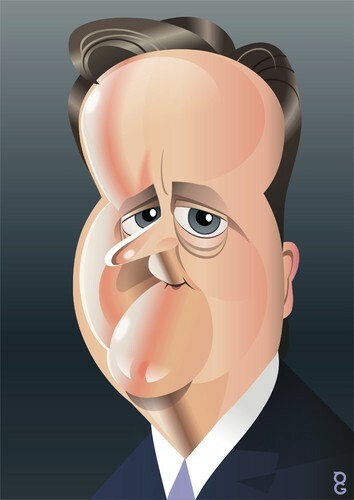 David Cameron, in my view, is no intellectual. In fact he’s a bit of an air head who never gets drawn into honest debate but simply parrots Tory sound bites. I’m sure Ed Milliband could wipe the floor with him if he wanted to. Sadly, though, the Labour opposition are giving the impression they agree, on the whole, with Cameron’s policies on welfare cuts. They’ve not shown much enthusiasm for standing up for the people who are really suffering the brunt of Cameron’s attack. Neither has Ed Milliband made any real attempt to defuse the constantly repeated myth that they were responsible for a wrecked economy despite there being plenty of hard evidence this was not the case. For three years Milliband has allowed Cameron to belittle Labour on this issue at every opportunity without defending himself. As a result of his failure and the perpetual repetition of the myth by every LibDem and Tory MP at every opportunity its now firmly fixed in the mind of the public as unquestionable truth and has done untold damage to Labour’s credibility as a safe guardian of the economy. Why on earth has Milliband stood by and let this happen? Its high time the Labour Party took back a little self respect and spoke out for the people its supposed to support – the working class – who are being bullied into poverty and despair by the Coalition. 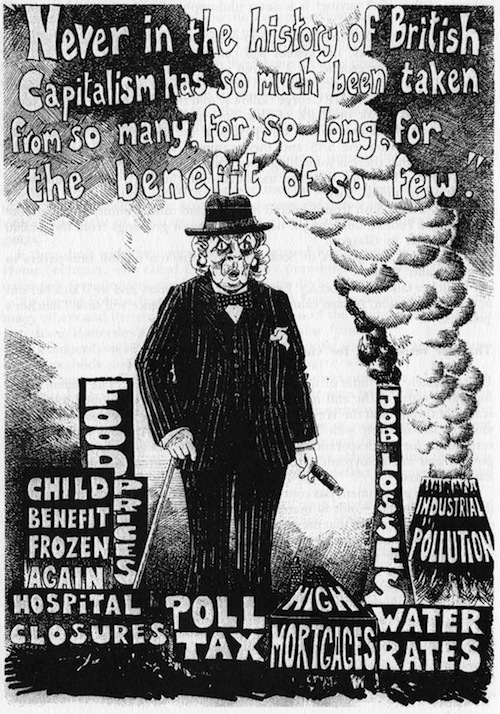 Concern about the extreme inequalities of incomes produced by capitalist societies has traditionally been a central component of left-of-centre politics, and the progressive taxation systems and redistributive welfare state put in place by the 1945 Attlee government was at least partly motivated by a desire to reduce inequalities. But how unequal is Britain now, 35 years after the Thatcher government and the end of the post-war consensus? What are the consequences of the current policies of the coalition government for inequality? And how much might impact on inequality might a Labour government expect to make if elected in 2015? Inequality in the distribution of incomes is the result of a combination of two factors. One is the distribution of gross market incomes, ie income before taxes or transfer payments. The largest component of gross incomes is earnings, but the distribution of incomes from investments and (private) pensions, and property income, are also important. The other main factor determining the distribution of net income is the extent of redistribution by the government through the form of taxes and transfer payments (eg benefits, tax credits). Inequality can rise thanks to increasing dispersion of gross incomes, a reduction in the extent of redistribution, or both. Thanks to household surveys conducted on an annual basis from 1961 to the present day, we now have around half a century of data on the UK income distribution on a reasonably consistent basis. 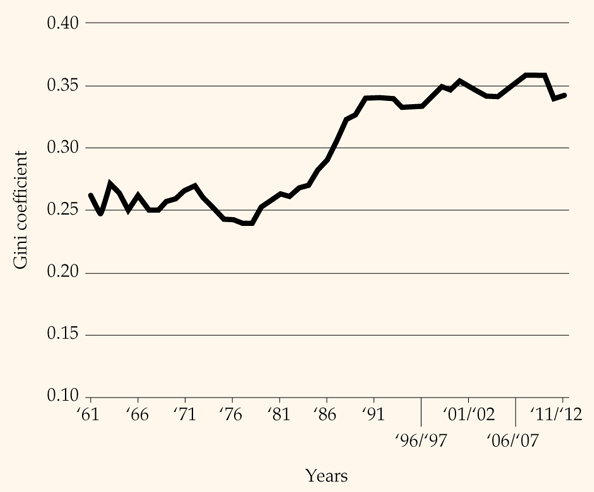 Figure 1 is based on analysis of this data by the Institute for Fiscal Studies (IFS) and shows the evolution of inequality in disposable income since 1961. The measure of disposable income used is net household income before housing costs, adjusted for family size. The figures go up to the 2011-12 tax year which are the most recent figures currently available. The measure of inequality used is the Gini coefficient, which is a number between 0 and 1 showing the extent of inequality in a distribution of incomes. A Gini of 0 would correspond to a situation where every household had the same net income, whereas a Gini of 1 would correspond to a situation where one household had all the income and the rest had nothing. Hence, the higher the Gini is, the greater is inequality in incomes. The figures are for Great Britain (including England, Scotland and Wales but excluding Northern Ireland) because the Family Expenditure Survey, which was the survey used to measure incomes until 1992, did not cover Northern Ireland but data for the whole UK from 1993 onwards using the Family Resources Survey (which does cover Northern Ireland) show a very similar picture. Between 1961 and the late 1970s, inequality was roughly stable, with a Gini coefficient in the range 0.24 to 0.27. Inequality rose consistently from 1979 onwards, with the Gini moving above 0.27 in 1985. By 1990, the Gini had reached 0.34 – a rise of 0.07 in just five years. The 1980s were a period of persistent rises in inequality. From 1990 onwards, inequality stabilised at a Gini of around 0.33 to 0.36 and has remained at that level until the present day. In terms of the relationship between inequality and UK politics, it looks like the period of Margaret Thatcher’s premiership (1979-90) was very different from Labour or Conservative governments before or after it. Mrs Thatcher’s tenure in Downing Street coincided with a massive increase in inequality of household incomes in the UK. What caused this rise in inequality? Research by Stuart Adam and James Browne of the IFS shows that between 1978 and 2008, reforms to the tax and benefit system increased the Gini by around 0.034 compared with a situation in which the 1978-9 tax system had been kept in place and uprated according to the uprating rules in place at that time. 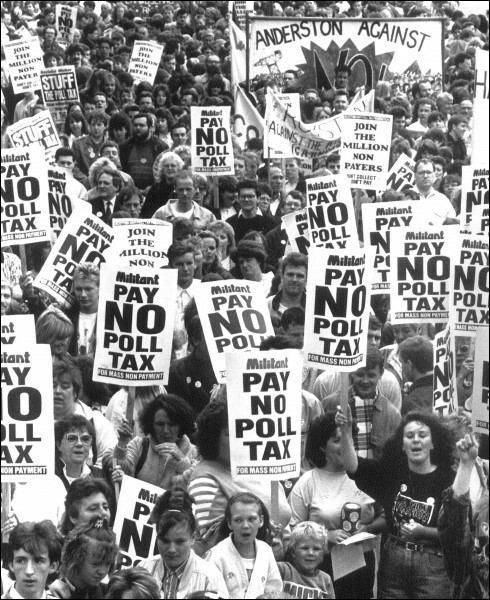 This increase in inequality appears to result mainly from two reforms undertaken by the Thatcher government: firstly, the reduction in income tax rates, with the top rate of income tax falling from 83 per cent in 1979 to 40 per cent in 1988; and secondly the decision to uprate means-tested benefits in line with price inflation rather than earnings, which (given that this was a period where average earnings were growing by about 2 per cent above inflation every year) meant that incomes for poorer families who were dependent on benefits for a large proportion, or all, of their net income lagged behind working families. Thus, changes to taxes and benefits under the Thatcher government account for around half the overall increase in inequality seen between 1978 and 2008. The rest of the increase in inequality can largely be explained by two factors: firstly, increasing dispersion of earnings, with growth in earnings for top earners far outpacing average or low earners; and secondly a shift in the distribution of national income from wages to profits (income from profits is far more unequally distributed than income from wages). The record of the Labour governments between 1997 and 2010 on inequality is also worth commenting on here. New Labour was much more concerned with reducing poverty, and child and pensioner poverty in particular, than with reducing inequality per se. However, there is an obvious link between poverty and inequality in that redistribution via the tax and benefit system from richer households to poorer households – aiming to reduce poverty by increasing the net incomes of the poorest families – will tend to reduce overall inequality in net incomes as a by-product. Overall, the IFS research by Adam and Browne shows that New Labour made the tax-benefit system more redistributive (as a result of increased benefit payments for poorer pensioners and tax credits for low-income families with children). However, inequality in gross incomes continued to increase over this period. Overall, the two effects more or less cancelled each other out, meaning that inequality in 2010 was almost unchanged from its 1997 level. Figure 2 presents a breakdown of the distributional effects of most of the reforms made to the tax, benefit and tax credit system over the course of the current parliament using a tax-benefit micro-simulation model constructed by Landman Economics for the Institute for Public Policy Research. The analysis divides families in the UK income distribution into ten equally sized deciles ranging from decile 1 (the poorest) to decile 10 (the richest). The line in the graph shows the overall impact of reforms to the tax, benefit and tax credit systems as a percentage of disposable income, averaged across all families in each decile. Overall, the reforms introduced by the coalition are regressive across most of the distribution – the poorest families lose over 12 percent of their net income on average, compared with only around 3 percent of net income for families in the ninth decile. At the very top, the reforms are slightly progressive, with the top decile losing a slightly higher percentage of their income than the ninth decile; this is mainly due to increases in national insurance contributions and below-inflation increases in the higher rate income tax threshold. The main factor driving the regressiveness of tax and benefit reforms between 2010 and 2015 is cuts to benefits and tax credits, particularly for working age families with children. The generosity of working tax credit, in particular, was cut back severely over this period. Furthermore, the uprating regime for working age benefits and tax credits has been changed from the retail price index (RPI) to the consumer prices index (CPI), and as annual CPI increases are typically smaller than RPI, this means that households reliant on benefits and tax credits lose out increasingly as time goes on. The decision in the 2012 Autumn Statement to limit working age benefit and tax credit increases to 1 per cent in nominal terms – well below CPI inflation – exacerbates the regressiveness of the reforms to social security. Meanwhile, coalition reforms to income tax and national insurance contributions during this time – principally the above-inflation increases in the income tax personal allowance and the lower thresholds for national insurance contributions – help families in the middle of the income distribution more than the poorest families, most of whom were not earning enough to pay income tax or national insurance in the first place. The impact of the total package of tax and benefit reforms between 2010 and 2015 is to increase the Gini by 0.018 points – more than half as much again as the total increase in the Gini which arose from tax and benefit reforms over the period 1978 to 2008. There are additional reforms that it is not possible to model due to insufficient data on benefit claimants in the UK Family Resources Survey (such as many of the changes to housing benefit, and the replacement of disability living allowance by the personal independence payment). However, if they were added in to Figure 2, it is quite possible that the impact of the coalition’s tax and benefit measures would be as bad for inequality as the Thatcher government’s record, despite the fact that by 2015, David Cameron will have been prime minister for less than half the duration that Margaret Thatcher was. Looked at in this way, the coalition government’s tax and benefit reforms are like a speeded-up action replay of Thatcherism. This may come as a particular shock to Liberal Democrats in the government, many of whom spent the 1980s railing against the kind of increase in inequality which I forecast to occur as a direct result of policies introduced in this parliament. The actual increase in inequality, as measured by the Gini coefficient, over the period 2010 to 2015 is likely to be more than 0.018 because of the continuation of the trends which contributed to increased inequality in gross earnings between 1980 and 2010. While earnings at the top of the distribution are continuing to increase, real wages for low-to-middle earners have been falling behind inflation for at least the last five years. And the most recent available data shows the share of wages in national income continuing to fall, to 53.7 per cent of GDP in 2011 (down from 59.2 per cent in 1980). How should a future Labour government respond to these trends? Discussion of the role tax and benefit measures to reduce inequality – or even to reduce poverty – after 2015 (should Labour emerge victorious at the next election) has not figured highly in policy discussions over the last three years. To a large extent, Labour seems to have bought into the argument of the right-wing media – trumpeted loudly by coalition politicians – that redistribution through the welfare state became increasingly unaffordable under New Labour. This is despite the fact that in 2007-08 – the last year before the Great Recession – total spending on benefits and tax credits as a share of gross domestic product was 11.4 per cent, compared with 11.9 per cent in 1996-97, just before Labour came to office. But with the Labour leadership seemingly insistent that the poor state of the public finances rules out further action to reduce inequality through the tax and benefit system, attention has shifted to what the political scientist Jacob Hacker has called ‘predistribution’ – measures to make the distribution of gross market incomes more equal, thus reducing the pressure on the tax and social security systems to do the ‘heavy lifting’ of reducing inequality. This would be a big change in policy away from the New Labour years, where the market was more or less left to ‘let rip’ in delivering increasing inequalities in gross earnings and investment incomes, with the tax and social security systems having to do more and more redistribution to hold after-tax inequality constant. There are several policy options for more equal predistribution of earnings, mostly focusing around changes in wage determination, bargaining structures and trade union representation, particularly in private sector industries and services, as well as upgrading skills and improving employment and job progression opportunities for the lowest paid. But while measures to equalise the distribution of gross earnings would be most welcome, they would work best in conjunction with a more redistributive tax and benefit system, rather than one being a substitute for the other. Many features of the current tax and benefit system are needlessly regressive; for example, council tax, which on average charges low-to-middle income households a much higher percentage of their disposable income than the richest households. There is plenty of scope for major reforms of the UK’s tax and social security systems to increase their progressiveness and reduce net income inequality, at the same time as simplifying the system and raising more money to help balance the public finances. 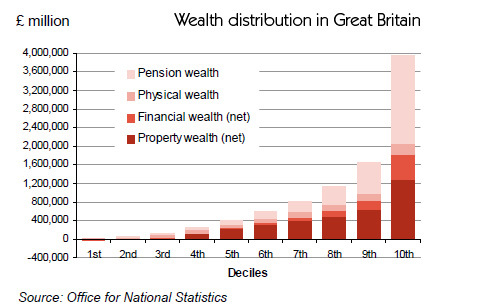 At the same time, a lot of the inequality in incomes from investments is a function of vast inequalities of wealth and assets and therefore it would be necessary to redistribute wealth – perhaps via radical measures such as land value taxation – to equalise the distribution of investment income significantly. Whichever set of policies Labour chooses in 2015, it will be important for inequality reduction to be at the heart of the party’s strategy for government. As Richard Wilkinson and Kate Pickett show in their book The Spirit Level, there are clear links between lower inequality and a range of better social outcomes (eg lower crime, increased levels of trust in society, and greater social mobility). For Labour to enter government with a mindset that inequality doesn’t matter would be a serious mistake. Instead, it is to be hoped that despite the difficult economic circumstances which the next Labour government is likely to inherit, they can nonetheless place a clear focus on getting UK income inequality down to the levels which prevailed before the Thatcher revolution of the 1980s. Prior to 1993 the annual surveys used to obtain data on the income distribution were conducted in calendar years; from 1993-94 onwards they changed to fiscal years. For more discussion of how to reduce gross earnings inequality see Stewart Lansley and Howard Reed, How To Boost The Wage Share, TUC, 2013. This entry was posted in austerity, government, LibDems, poverty, statistics, Tories and tagged David Cameron, Economic inequality, Fabian Society, Family Resources Survey, Gini coefficient, Howard Reed, Iain Duncan-Smith, Incomes, Institute for Fiscal Studies, Labour, low wage economy, Northern Ireland, poverty, Thatcher, welfare cuts, welfare reform on August 9, 2013 by sparaszczukster. The Crazy Tory Law That Criminalises The Homeless And Could Cost £790 Million. On 1st September 2012 it became a criminal offence to be found squatting in a residential building, punishable by a fine of £5000 or six months in prison. 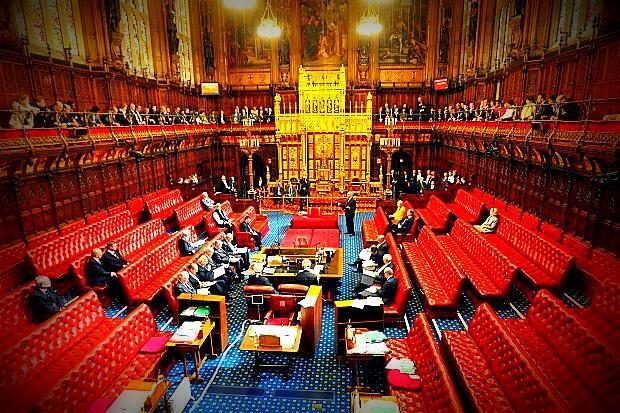 Section 144 of the new Legal Aid, Sentencing and Punishment of Offenders Bill was rushed through Parliament with little attention being paid to the consultation responses from various homeless charities and police, 98% of which were against the legislation. Entitled ‘The Case Against Section 144’, SQUASH (Squatters Action for Secure Homes) are launching a new report and campaign in Parliament today. The report’s findings suggest the major concerns regarding criminalisation that arose during the government’s consultation process have been proven right, with homeless and vulnerable people disproportionately affected. No arrests so far have been for squatters displacing anyone from their home, which does suggest that the Criminal Law Act 1977 was sufficient for dealing with squatters – as predicted by many legal experts. The report concludes with a call for repeal of Section 144. It provides a detailed six-month analysis of the effects that the new legislation has had since its introduction in September 2012, and sets this against the wider backdrop of the UK recession, high homelessness rates and current housing crisis. The report will be launched today in the House of Commons at a meeting of concerned MPs, Lords, lawyers, homelessness groups and academics. An online government e-petition petition calling for repeal has reached over 2000 signatures in only a few weeks. 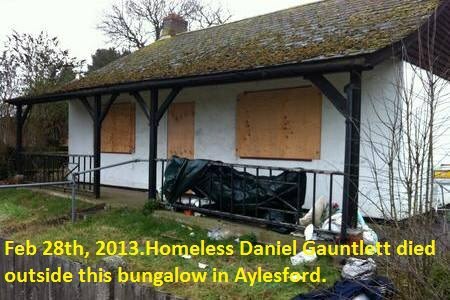 Last week, a homeless person in Kent died outside of an empty bungalow, media reports suggest he was prevented from going inside the building by Police because of the new offence of Section 144 which makes it a criminal offence to squat inside a residential property. “The new law is appalling. Homeless people are being put in jail for using empty buildings to keep a roof over their head. Section 144 needs to go and any further criminalisation quickly dismissed”. 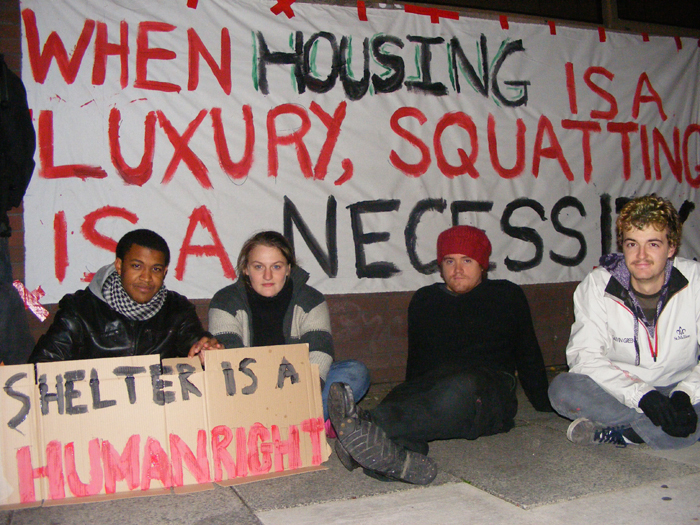 Many homelessness charities, for instance, are likely to continue to say that the new offence will criminalise homeless and vulnerable people who squat in run-down residential properties, but one of the reasons that the properties remain in that state is that the owners cannot get in to renovate them because the squatters are present. We consider that this option strikes the best balance. It will protect those who are likely to suffer most from squatting—those whose homes are taken over by squatters.… that point was made by squatters and squatters groups, but respondents who made that argument were missing one rather important point: the houses are not theirs to occupy. There are many reasons why a house might be left empty for more than six months without any steps being taken to refurbish, let or sell the building. For example, somebody might decide to do charitable work in another country for a year, or they might visit their second home during the summer months only…. Clearly, on Planet Cameron its quite normal to be able to afford to take a year off work and commonplace to own a second home. Blunt was obviously oblivious to the irony of such normalisation of privilege during a debate essentially about the growing thousands of people without hope of a secure roof of any kind over their heads. 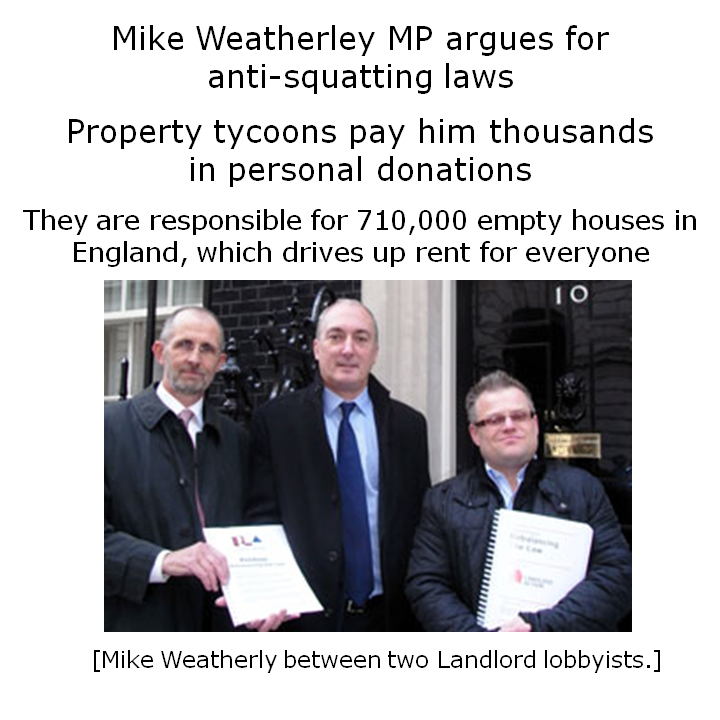 When you consider the number of empty houses there were at the time of this debate in November 2011 – a massive 710,000 – Blunt is really stretching our credibility if he wants us to believe that they are all merely empty because their owners are off doing good works in foreign climes or languishing in luxury in their second homes, unable to get back into their properties because of all those inconvenient paupers cluttering up the place. 41% of homeless squatters report mental health needs, 34% have been in care, 42% have physical ill health or a disability, 47% have experienced drug dependency, 21% are self-harming, 15% have a learning disability, and 90% have slept rough. Those are the people whom this legislation is about to criminalise…..The Crisis survey found that many of those people had no alternative, and that 78% had approached the local authority for help and been turned away. Among the housing charities—Crisis, Thames Reach, Shelter, Homeless Link, Housing Justice, St Mungo’s—there is a fear that the new legislation could criminalise extremely vulnerable people and force them into more dangerous situations, particularly rough sleeping. When there are 40,000 homeless families, 4,000 people sleeping rough in the capital, and 1.7 million households on waiting lists, desperate for decent accommodation, it is immoral that private owners should be allowed to let their properties stand empty for so long. At lot has happened since that debate that has made the housing situation in Britain far worse than it was back then. As the tide of welfare benefit cuts and bedroom tax has swelled so have the numbers of families whose housing has become very insecure indeed. SQUASH have estimated that the cost of mitigating the effects of s144 alone could cost around £790 million over the next five years. We already know that the consequences of the bedroom tax are going to cost millions in increased housing benefit as families are forced into private sector renting. Not to mention the possible burden on the NHS from increased ill health due to stress, malnutrition and other poverty related conditions. If this is the government’s idea of saving money then I can only conclude that they are dangerously crazy. 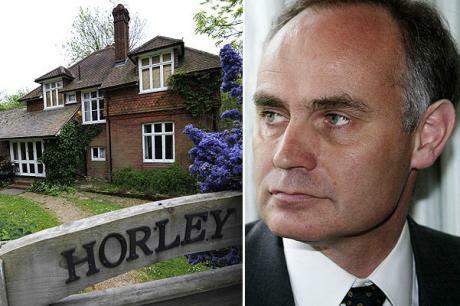 The fees’ office reply is not recorded, but land registry documents show that Mr Blunt sold the property in Horley, Surrey for £224,000 in July 2004. He bought another property in the same village for £485,000 in November 2005 and claimed £16,000 in stamp duty and legal bills. Daniel Gauntlett lost his life because he was a law abiding citizen. Mr Blunt commits what can only be seen as fraud without a prick of conscience and loses nothing. On Planet Cameron this is known as ‘fairness’. Where I come from its known as corruption. This entry was posted in austerity, bedroom tax, government, HOMELESSNESS, poverty, Tories and tagged Crispin Blunt, Danny Dorling, Expenses scandal, Government, homeless charities, Homelessness, House of Commons, John McDonnell, Labour, Legal Aide, London, Politics, Sentencing and Punishment of Offenders Bill, SQUASH, Squatters, Squatting on August 8, 2013 by sparaszczukster. 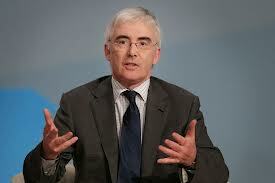 Baron Freud admits over 40,000 households will be hit by benefit cap: Almost 8500 could lose more than £100 per WEEK. Yesterday, 27th June, in the House of Lords, the ignoble Lord Freud (aka Baron Freud) was asked by Labour member Baroness King of Bow to confirm that a revised estimate of the number of households who would be affected by the savage benefit caps was now 40,000. She also asked him for a breakdown of these figures by local authority. ” A breakdown by Local authority of the revised estimate of 40,000 as the number of households that may be affected by the benefit cap has been placed in the library. 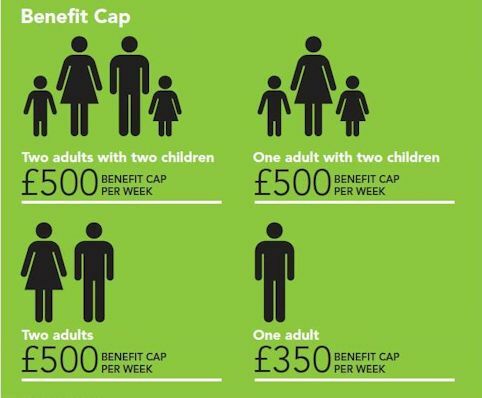 The benefit cap is being applied through a phased implementation which commenced on 15 April 2013 in Bromley, Croydon, Enfield and Haringey. It will be introduced at a national level from 15 July 2013 and all appropriate households will be capped by the end of September 2013. Estimates assume that the situation of these households will go unchanged, and they will not take any steps to either work enough hours to qualify for Working Tax Credit, renegotiate their rent in situ, or find alternative accommodation. 8,200 households are likely to lose OVER £100 per week. The majority of these live in London boroughs. 4,900 households will lose between £50 and £100 per week across the whole country. 113,000 households will lose up to £50 per across the whole of the UK. However,actual figures for local authorities where there are less than a 100 households affected by the cap are not given so the table the Baron provides doesn’t show the level of losses that will affect these households. Going off his estimate of 40,000 in total, this leaves a further 15,600 households whose level of hardship he’s not admitting to, except to say they will be affected to some extent. We don’t know, therefore, how many of these households will lose over £100 a week but we can assume that the figure of 8,200 that we do know about is likely to be quite a bit bigger and quite possibly over 8,500. This entry was posted in austerity, DWP, poverty, Tories and tagged Baroness King of Bow, benefit cap, Croydon, David Freud Baron Freud, House of Lords, Jobcentre Plus, Labour, Local government, Work Programme, Working Tax Credit on June 28, 2013 by sparaszczukster. 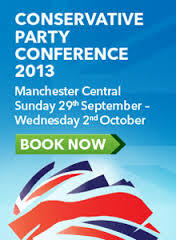 Unions who represent millions of people in the UK are planning to confront the Tories over privatisation of the NHS at this year’s Conservative Party Conference to be held in Manchester on September 29th. The three biggest unions in the country – Unite, Unison and the GMB – have announced that they will be at the forefront of community protests to highlight the public’s increasing concern at the piecemeal dismantlement of the NHS for the benefit of companies, such as Virgin Care and big US private health provider HCA. They want to make it clear to the public that this year’s Conference is being bankrolled by the very private healthcare companies that stand to benefit from Andrew Lansley’s Health and Social Care Bill 2012 and will be demanding an immediate halt to the handing out of contracts to these companies who put shareholders before patients. “The people of this country do not want a health service run by the same global boardrooms that have brought misery to every other public service, such as the energy industry, that they have got their hands on. “We pay for this NHS to be different; to serve the public, and to ward off the twin fears of illness and poverty. There is simply no place in our health service for business to profit from the misfortunes of others. This is the message that will ring around Manchester on 29 September. “We will be demanding that a future Labour government repeals the act as a top priority – and this should be a warning to potential private companies not to bid for contracts. The unions say that they will work with the Trades Union Congress and its affiliates to ensure the full weight of the trade union movement stands squarely behind this landmark event. 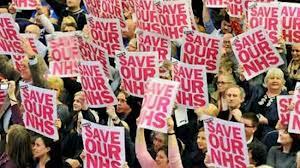 Neither the Tories nor their Liberal-Democrat co-conspirators declared their intention to privatise the NHS in their 2010 general election manifestos a fact that has angered millions who see it as an attack on democracy. We’ve been promised a referendum on EU membership should any significant treaty changes occur yet NO opportunity whatsoever to vote on the fundamental changes happening to the most important public organisation in Britain, the NHS, on which every man,woman and child in this country relies for their health and well-being. 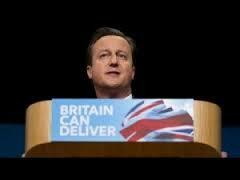 “Grandstanding on the back of public outrage at the attack on the NHS would be pure political opportunism” he said. So it looks like Cameron and his Demolition crew can expect a very loud and angry reception when they set foot up North in Manchester in September. Lets make it one he’ll never forget! This entry was posted in LibDems, NHS, privatisation, Tories and tagged andrew lansley, community protests, Conservative, conservative party conference, Conservative Party Conference 2013, David Cameron, false promise, GMB, Health and Social Care Bill, Labour, labour government, Len McCluskey, Manchester, mass rally, Morning Star, National Health Service, NHS, Protest, Unison, Unite, Virgin Care on June 22, 2013 by sparaszczukster. PMQ’s: Hypocritical Cameron slams Milliband over encouraging donor’s tax avoidance but Tories have been doing it for years! During PMQ’s yesterday David Cameron took great pleasure in belittling Ed Milliband over the recent revelation that the Labour Party had advised one of its wealthy donors on how to avoid tax. He revelled in his schoolboy taunts accompanied by the usual mindless guffaws from Osborne and the rest. This, of course, is business as usual from the shallow and integrity-deficient government benches. 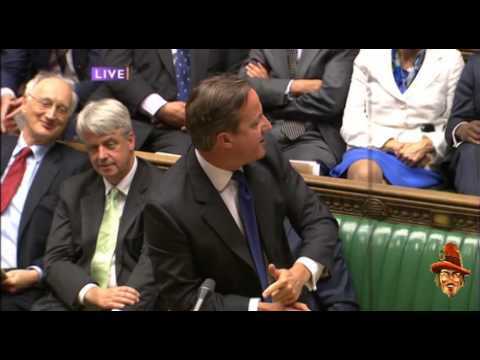 I’ve noticed over the hellish past three years that Cameron uses PMQ’s – when he turns up for it – primarily to blatantly ridicule the front benches opposite instead of doing what we should expect a PM to do which is answering questions candidly.We’re paying him to turn up and inform us of what government are doing NOT engage in rowdy school yard catcalling. He comes across as a wannabe stand-up comedian rather than a serious statesman. And a pretty poor apology for one at that. But by attempting to make party political capital from Labour’s tax avoidance gaffe he should be very careful because this is very definitely as case of the kettle calling the pot black. Thanks to political commentator Paul Staines’ Guy Fawkes blog ( http://order-order.com/2012/07/02/tories-advised-top-donors-how-to-avoid-tax/) I discovered that generous Conservative Party donors have been offered advice on how to avoid tax through donating for years. and with the declared mission ‘to strengthen the financial future of the Conservative Party’ they urge potential donors to ‘protect the country you love, defend the values you cherish’ by giving some of their wealth to the Party. Obviously Mr Cameron didn’t realise when he opened his mouth in the Commons yesterday that he was putting his expensively shod foot right in it! According to Paul Staines ALL political parties give advice on tax issues to donors. And, of course, at present sadly its all perfectly legal. We’re going to hear a lot more moralising about tax avoidance/evasion in the coming weeks as the G8 meeting gets under way. And I’ve no doubt Cameron and Osborne will be extracting as much political righteousness from it as possible. As we can see they’re in no position to stomp around over the moral high ground, as Cameron was doing yesterday. This is dishonest politics and its time we stopped them. This entry was posted in Tax, tax avoidance, Tories and tagged Cameron, Conservative, David Cameron, Guy Fawkes, Inheritance tax, Labour, Paul Staines, PMQs, political donations, Prime minister's questions, TAX AVOIDANCE on June 13, 2013 by sparaszczukster.